Today we have a several new posters including a new one for Cloudy With A Chance Of Meatballs 2 (trailer to post on tomorrow’s “Trailer Time Thursday”), two new ones for Iron Man 3, and a pretty neat one for Dark Skies. Well, what do you think? Which ones are your favorites in this spotlight? I actually like BOTH of the Iron Man 3 posters, along with the Oblivion one with Tom Cruise on the bridge and Cloudy With a Chance of Meatballs 2 (even though I’m not a fan of the first film). 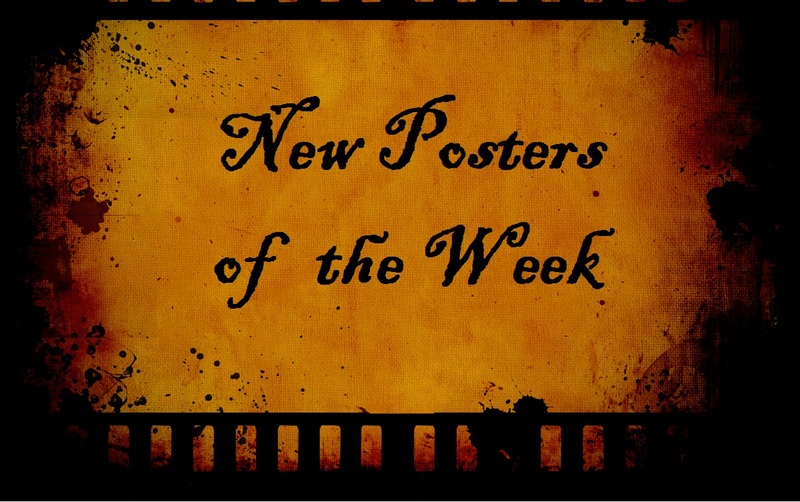 Some good posters this week… I like the bridge Oblivion poster, Monsters University, and the Pepper Potts poster. Not so big on the other Iron Man 3 poster; his pose is just too awkward. The style of the Trance posters is kind of interesting; I think the second works better compositionally. The Big Wedding looks like another star-overloaded rom-com that probably isn’t very good. Open Windows is probably yet another inferior take on Rear Window, isn’t it? I mean, I’m just guessing, but that’s the vibe I get. Hey Morgan! as Bubbawheat mentioned, i really like the Oblivion one with the bridge as well. because OF the bridge! I have actually no idea about Open Windows, but I have no expectations of that one. ha. Thanks for commenting today! This is easily becoming my favorite blog feature to visit and comment on. I also love both the Iron Man 3 posters, especially the Pepper Potts one, though I haven’t been fond of most of the earlier posters for it yet. Also love the Oblivion that doesn’t focus on Cruise, I’ve seen his face enough times, it’s the imagery of that bridge that sells the movie. I like that Big Wedding is actually a group shot where the actors are physicaly there together, most of the times a cast like that warrants a photocollage poster. I haven’t really looked past the Spring Breakers posters to realize that it’s maybe like a Sugar and Spice type movie plus drugs? But I do like the luggage set up poster, not that I have anything against half-naked girls, but that just makes me interested in the picture of the girl, not the actual movie (and I don’t think I realized there were guns in any of the posters before now). I agree with you on Cloudy 2 as well, those are some fun looking food/plant designs. And I almost love the Open Windows poster if they had just done something else with the background. Really appreciate your kind words and shared enthusiasm on this feature. Thank you for sharing and adding your thoughts! I do like the Pepper Potts Iron Man 3 poster more myself, especially after looking at how odd in size Tony Starks right hand is in the other poster. But I still like them both. Good points on Spring Breakers and Open Windows. I agree. I thought it was funny that I reluctantly liked Cloudy’s poster (when I didn’t like the first film at all). and I hadn’t thought about Big Wedding the way you put it. it is a group shot. I wonder if they all share a scene or two. The 2 iron man and the 2 oblivion are pretty cool. Sometimes the movie posters used in foreign countries are even better. haven’t seen that Dark Skies poster until now. Very cool! Which Iron Man 3 one do you like the most? Yeah, I agree the Iron Man 3 looks great. The one that actually has Iron Man, not the Gwenyth Paltrow one. I actually liked the Gwenyth one most. Thanks for checking out the posters man.